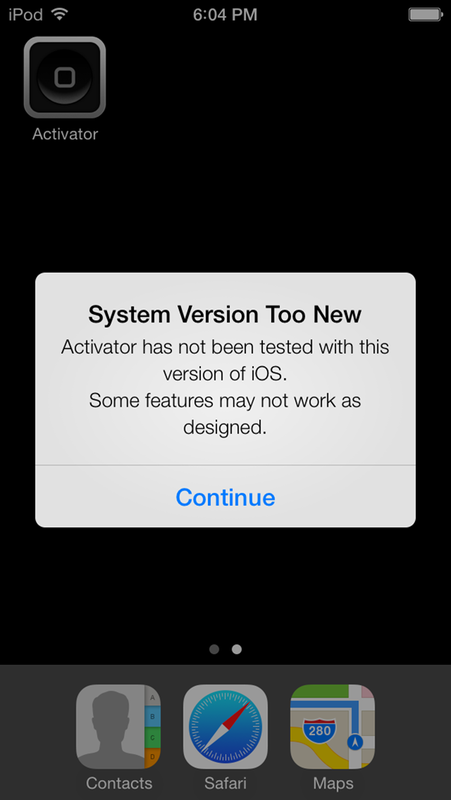 The Evad3rs team brought some respite late last year with the release of the Evasi0n jailbreak tool, and now a screenshot posted by seasoned developer Ryan Petrich suggests the road to a jailbreak on iOS 7 may not be so treacherous. No details were associated with his screen cap posted on Twitter yesterday of jailbroken iOS 7 beta running on iPod touch 5, but even at this very early stage, things do look very promising indeed. With each new version of iOS, the road to a jailbreak has been testing at times, and the days of untethered breaks being ready and waiting by the time the official release came around seeming long gone. Since the release of the initial iOS 7 beta, most of the focus has been on the changes Apple has gone ahead and made. The whole user interface has been completely revamped, and while this has appeased those who were becoming disillusioned with the monotony, there has been a tidal wave of a backlash from those who’ve felt the significant alteration was less than necessary. Amid the hype, the word jailbreak has scarcely been mentioned, but with Petrich having now set the ball rolling, it will be very interesting to see if and when the end user release of iOS 7 gets a jailbreak. Although Petrich himself is better known for tweaking rather than hacking, having developed popular tweaks such as Activator, we certainly wouldn’t put it past him to take part in early testing of next jailbreak. So, while information is at a premium at the moment, the take-home from this is that iOS 7 is jailbreakable, at least in its current form. With Apple set to reel off several betas between now and the Fall release of iOS 7, this could well change, but provided Petrich and those with access to this jailbreak keep things under wraps for now, it would seem unlikely that Apple would be able to source and subsequently patch the exploits used. Cydia tweak Activator running on jailbroken iPod touch 5 running iOS 7 Beta. With Apple having essentially nullified some of the major tweaks with new implementations to iOS 7, one has to wonder whether the demand for a jailbreak will be as high as before. But whatever the case may be, we’ll have all your iOS 7 jailbreak news right here at Redmond Pie, so stay tuned!